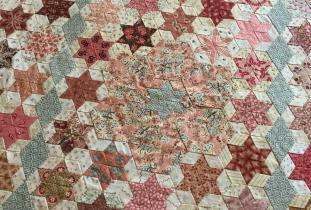 Stop in for a free sample pack and demonstration of English Paper Piecing, a centuries-old method of hand quilting preserved by Paper Pieces. Discover modern applications for EPP at the Hexie House. The Hexie House is open by appointment. Call 270.534.5475 to set a time.